Especially easy to grasp, this rattle was made to suit baby’s motor skills. Your little one will love to shake it and watch his cute little face in Anatole’s big mirror mouth. 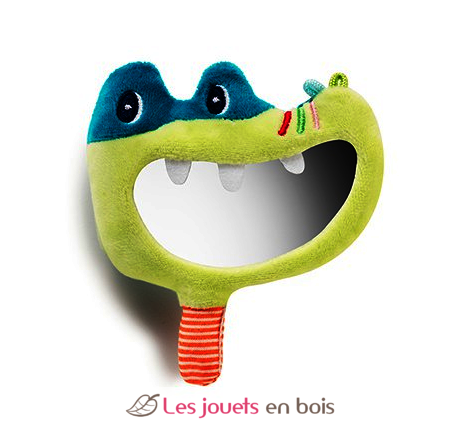 Anatole, mirror rattle, a toy for babies made by Lilliputiens. Item number 83075.